Recently “ChessMate” (which is the biggest paper chess magazine in India) published my new lesson “How to Prevent Blunders”. If you live in India – check out the September and November issues of “Chess Mate”. At the same time I want that ALL the students can learn this important lesson. So I’ve just recorded a video about the same topic for you. P.S. Have you enjoyed the video? Click the buttons below to share it with your friends. How to find a good chess coach? This is a VERY IMPORTANT question. Let’s be realistic: without a good coach your chances for becoming a titled player are quite miserable. “To know the road ahead, ask those coming back” – says a wise Chinese proverb. Of course you can try to discover everything by yourself: read books, play games, analyze your mistakes and work on their elimination etc. Perhaps sooner or later you will come to the right decisions. BUT chess is a competition. Your opponents – who are taught by good coaches, and whosetraining is more effective – will beat you. This brings us back to the 1st question: How to find a good chess coach? Hi guys, you want to get this chess video: How to prevent blunders? for Free.. Yes. it's FREE!! Why wait, just confirm subscribe for link below and the URL download link will be sent to your email. 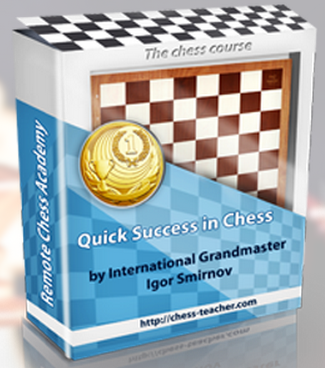 Please click this link: FREE CHESS VIDEO! I’m sure you have watched a video or perhaps read a book, where a Grandmaster analyzes his game. Most likely, you are surprised by how DEEP his analysis goes. Some GM opening analysis goes all the way to move 30. 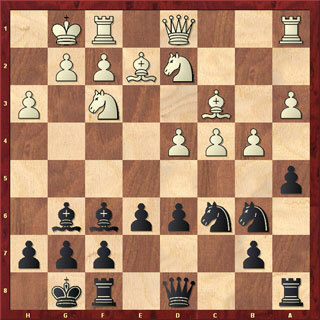 Sometimes, they analyze unclear middlegame positions all the way to the 20th move and evaluate the resulting position. OK, most of these commentators perform the ‘Copy and Paste’ technique. They copy computer analysis and paste them to impress you BUT nah, I’m not talking about them. Rather, I’m talking about REALLY great players who do the hard task of deep and TRUE analysis by themselves (like Kasparov etc). Some time ago, we analyzed an interesting opening – 1.b3 for White. This opening has the seal of approval of the legendary Bent Larsen. Not long after, I got a lot of emails from chess fans and amateurs reporting GREAT results after applying this secret. So I thought: “Why not introduce you to an identical opening for Black?” And that’s exactly what you are going to get in this video! You will have a really well-prepared opening that you can use in ANY game…whatever color you are playing! A friend of mine, who runs another YouTube chess channel, has been asking me to make a lesson for their audience. You know, I’m always glad to support chess enthusiasts. So I made “a guest video” and allowed them to publish it. I’ll appreciate if you leave a comment below the video. Most of my previous courses were about strategy (understanding, planning, principles etc). Yes, I’ve touched on tactics too, but that was rather brief. Today I’ve prepared 2 different games for you, both of which are really cool! –> The first example is rather enthralling; it will be a warm up and a test of your tactical skills. –> The 2nd game will illustrate some important ATTACKING ideas. Please, take it seriously. I haven’t included a lot of stuff in this lesson because I want that you FOCUS on this game, and learn it thoroughly. Dont forget to read my other courses too! Birthday Cake-2 & Another Weapon For You! First of all I’d like to THANK everyone for your greetings! It’s a pleasure for me to communicate with such nice and grateful people! We set up a record of 90 comments for 1 blog-post. Although I couldn’t reply to every message, be sure I read them all. Your nice attitude motivates me to keep working for you, and rest assured there will be a lot of new and useful materials! Now, I’ve collected some really cool games for you. However, let’s test your skills first. Please, find the solution in positions below. You should find the best move and calculate all associated variations until the end. After you come up with your own solution, check yourself by downloading the answer. How should Black play here?